Participants of the Military Archaeological Society "Legend" LTV have discovered that the legends about the found invitation have long since disappeared. The representatives of the Society have been trying to see if this is true for several years. The legend says that during the Second World War Germans twice called the army from the church. Trying to save the last, the locals buried him under the church floor. The representatives of the Society have also talked several times about the legend about the subatomic church about this legend and the ability to try to find a call. Organizing the way to check for the possible burial of German soldiers in Kalupe, the participants decided to go to Subath and try to find a call. As it turned out, the call was almost 200 years old, and it was also engraved with 1821. 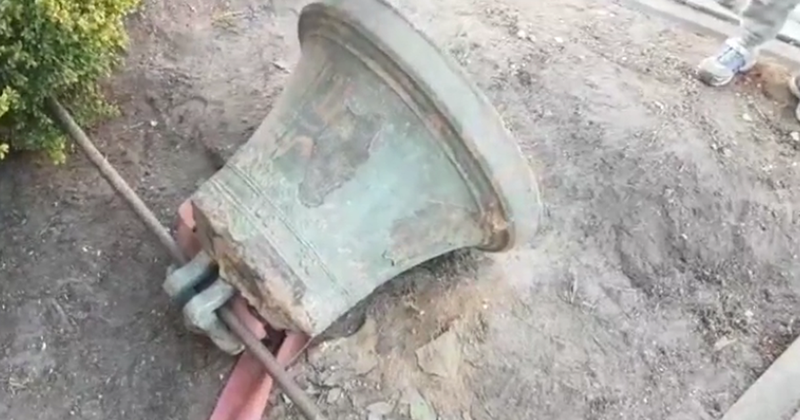 The prophet hopes that at the time of the church tower, all three bells will sound as if the Catholic accepted them.